Edward Snowden was forced to stay in Russia after the US threatened Cuba with “adverse consequences” should the NSA whistleblower get on board Aeroflot’s Moscow-Havana flight, Kommersant newspaper has learnt. Under US pressure the Cuban authorities informed Moscow the Aeroflot plane would not be able to land in Havana, a source told the Russian newspaper. One of the sources close to the US State Department stated that Cuba was one of the countries whose authorities were warned of “adverse consequences” if it helped Snowden. The paper also pointed out that Russian authorities did not contact Snowden or issue an invitation to take refuge on its territory, however were aware that he would arrive to Moscow en route to Latin America. "His choice of route (to Latin America via Moscow), and his request for help were an absolute surprise for us. We did not invite him," an official source explained. The paper also learned that before leaving Hong Kong, Snowden spent a couple of days at the Russian Consulate, where he even celebrated his 30th birthday. A source within the Russian government has confirmed that Snowden was not invited and contacted the consulate on his own initiative. Reportedly, Snowden explained to the Consulate that he intended to seek asylum in one of the Latin American countries and presented his ticket to Havana through Moscow. NSA whistleblower Snowden, a former CIA employee and NSA contractor, was the one who leaked classified documents detailing massive electronic surveillance by the US government and foreign allies who collaborated with them. Snowden left Hawaii, US, in May to go to Hong Kong, where he first went public about the leaks in a video interview to The Guardian. In the interview he also admitted that he feared for his life and would be seeking asylum in a country that respected freedom of speech. After the leaks, the US charged Snowden with theft of federal government property, unauthorized communication of national defense information and wilful sharing of classified documents to an unauthorized person. 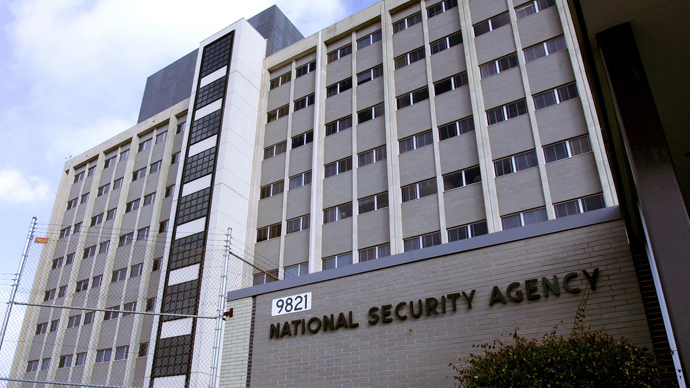 The last two charges fall under the US Espionage Act. Amidst mounting US pressure on both Beijing and the local authorities in Hong Kong to hand over the whistleblower for prosecution, Snowden flew to Moscow on June 23. According to Kommesant's report, a WikiLeaks lawyers warned Snowden that the local authorities would arrest him due to mounting US pressure, but at the same time would not stop him if he tried to leave. In June 21 Snowden bought a ticket to Havana via Moscow, which was on the same day as US had informed China that it revoked whistleblower’s passport. Moscow was initially intended as a temporary stopover on his journey, but Snowden ended up getting stranded at Sheremetyevo Airport without proper ID. Snowden could neither leave Russia nor enter it, forcing him to remain in the airport’s transit zone. While stranded, Snowden reportedly sought asylum in 27 countries, hoping to gain protection from US prosecutors. Venezuela offered Snowden asylum, as well as Nicaragua. Ecuador also considered giving Snowden asylum but then had a change of heart. At least 11 other states rejected requests. Snowden received five outright rejections from Finland, Brazil, Poland, India, and Germany, according to WikiLeaks. Spain, Norway, Italy and Austria also rejected Snowden’s applications, stating that asylum requests cannot be granted unless the applicant is already inside the country. In the meantime, the US launched a witch-hunt campaign to get Snowden. Late in June, Washington stated that it expected the Russian government to 'look at all options available' to expel Edward Snowden to the US to face espionage charges. The US comments came after the White House expressed 'disappointment' China and Hong Kong didn't detain the NSA leaker. US Secretary of State John Kerry said he “would be deeply troubled” if China and Russia knew about the whistleblower’s plans. “There would be without any question some effect and impact on the relationship” with the US if this had taken place. Earlier the US State Department issued a statement warning countries of the ‘Western Hemisphere” about reports that Edward Snowden might be looking refuge in the region and urging them to not let the whistleblower in and assist with returning him to the US. At the beginning of July, Bolivian President Evo Morales’ plane – returning from Moscow – was forced to make a sudden stop in Vienna, after Spain, France, Portugal and Italy abruptly blocked their airspace to him. 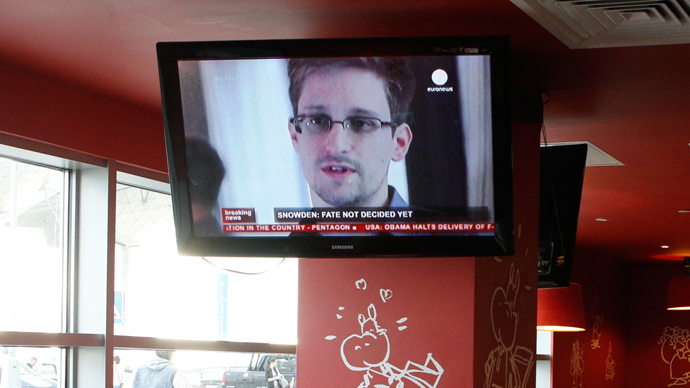 In Vienna, officials inquired whether the plane was carrying Edward Snowden. 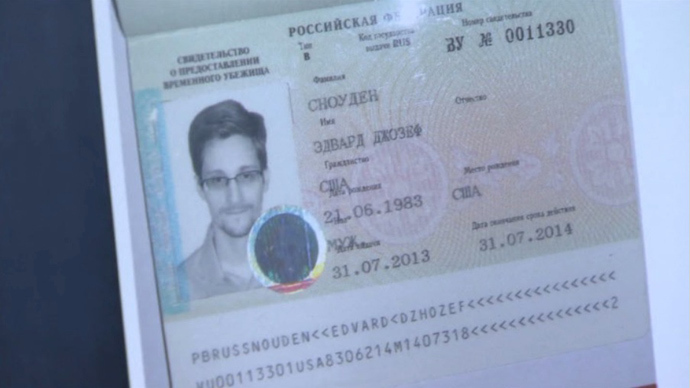 After the incident, Snowden applied for temporary asylum in Russia, a status that would allow him to live and work in the country for one year. On August 1, Snowden was granted temporary asylum and was allowed to enter Russia. His present location has not been made public nor will it be disclosed, Snowden's legal representative Anatoly Kucherena said. “He is the most wanted person on earth and his security will be a priority,” the attorney explained. Since then, the US has not stopped its intimidation tactics directed at Snowden and those who help him. Just recently, Glenn Greenwald, the Guardian journalist who first published secrets leaked by Snowden, saw his partner David Miranda detained for nine hours under anti-terrorism laws while transiting through London’s Heathrow Airport on his way to Rio de Janeiro. The 28-year-old was traveling after visiting US filmmaker Lauro Poitras, who has been working on the Snowden files with Greenwald and the Guardian. The authorities took away all his electronic devices and forced Miranda to reveal his passwords. A security source told Reuters that Miranda’s detention was meant to send a message to those who received Snowden’s classified documents, about how serious the UK is in trying to prevent further leaks. In response to the incident, the US government has released a statement saying that British officials told them about their decision to detain Miranda, although Washington denied its own involvement. 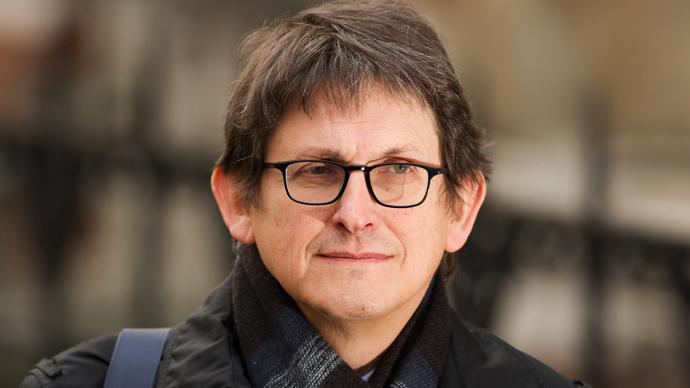 Following the scandal, The Guardian’s editor Alan Rusbridger revealed that intelligence officials from the Government Communications Headquarters demanded the return or destruction of files leaked by Snowden. Rusbridger refused to hand over the documents and government officials then watched as computers, which contained classified information passed on by Snowden, were physically destroyed in one of the newspaper building’s basements. The US campaign to get Snowden alone and with the help of its strongest allies may be explained by the fact that the whistleblower was able to evade all safeguards at the NSA while collecting data, leaving the agency puzzled at how he did it, according to AP sources. Even two months after the leaks took place, NSA Director Keith Alexander could not tell the press in July exactly what Snowden might have had access to, downloaded or taken with him.